Where would we be without concealers and correctors. They give us the power to look awake and refreshed. To look younger and less hungover. To camouflage skink imperfections. To "up" the coverage of a foundation only where it's needed. Spots, scars, redness, hyper pigmentation, broken capillaries, veins, dark circles... all banished with the wave of a concealer wand and some judiciously applied slap. So what are the wands that I use? Reasonably recently I realised I was running out of cleanser*, the horror! I hightailed it into my local friendly store** and was seduced by the Mamechivo collection for Shu Uemura and left with my trusty cleansing oil in Green***. While there I managed to convince the SA to part with a freebie (and decent sized sample of) the Depsea Hydrability Moisturizing Cream to try out. As you can see, I already have the Lotion (large bottle - this is a toner), and Concentrate (small almost used up bottle - this is the serum). So, y'know, it's nice to have the collection to try out. The newest addition to the Chanel foundation line-up was launched early April and I've only just got around to trialling it in the last two weeks. In a word (like most Chanel foundations) I was not disappointed. At €48 or so, this is not cheap, but for a compact foundation it delivers, unusually, a beautiful glow, far more so than most dry-looking dry-making matte-appearance compact foundations. According to the Chanel PR blurb, Chanel "used all of its light-mastering expertise for its new foundation. Enriched with soft focus pigments, VITALUMIÈRE AQUA COMPACT leaves a halo of light on the face". It's actually quite an accurate description. 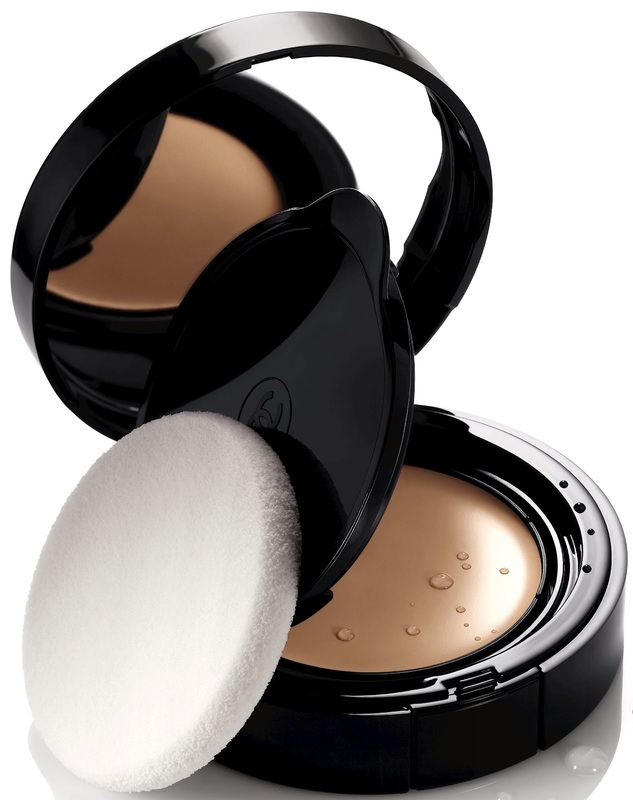 This is a beautiful foundation, and it certainly looks anything other than heavy or dry on the skin.